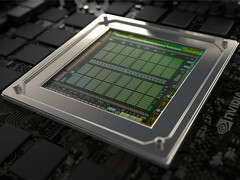 More power - same name: Nvidia to update the existing GTX 965M graphics chip. The current Geforce GTX 965M attemps to close the relatively big performance gap between the mid-range GTX 960M and high-end GTX 970M. We've learned from a exclusive insider that Nvidia will be upgrading the current GTX 965M (N16E-GS) to the faster GTX 965M (N15E-GR) by early 2016. Interestingly, the upgrade may not come with any name changes at all, which may confuse consumers as to what version of the GTX 965M a notebook may actually have. The name "GTX 965M Ti" may still stick, but our source claims it to be unlikely. Like with the GTX 980 for notebooks, Nvidia is pursuing a dubious strategy by giving graphics chips with different performance specifications the same model name. Which changes do the new GTX 965M bring? First, clock rates are expected to be higher. The base clock is raised from 924 MHz to 935 MHz, while maximum Turbo should increase significantly from 950 MHz to 1151 MHz. This corresponds to 20% higher clock rate if the chip can maintain its Turbo overhead. With this increase, the new GTX 965M could achieve about 8400 points in 3DMark 11 and rank approximately midway between the current GTX 965M and the GTX 970M. It is still unknown which devices will use the refreshed GTX 965M. However, it is likely that manufacturers such as MSI, Clevo, and Gigabyte are first in line for the updated GPU. These manufacturers are also one of the very few to offer notebooks equipped with the GTX 965M.